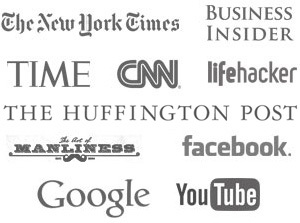 Men’s dress shirt collars come in all different colors, sizes, and styles. However, one thing holds true for all of them: They are the frame for the face. 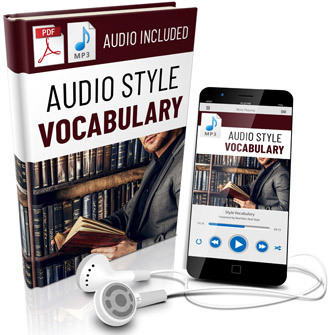 Regardless of the type of suit jacket or tie, ones shirt collar is always visible, and plays a major role in determining how the wearer’s face will appear to observers. Choosing the right shirt collar will ensure you enhance your facial strengths while downplaying any irregularities. Collars come in a variety of individual styles, though there are two main types: Turndown collars and wing collars. 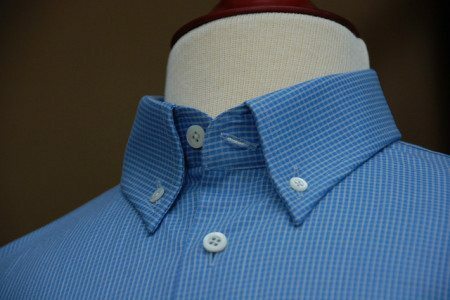 Turndown collars are the staple found on gentlemen’s shirts, and offer the most opportunity for individual taste. These collars, as the name suggests, are turned down, forming a sort of triangle whose angles vary with the particular look one is aiming for. Although there are countless variations, the turndown collar comes in two main categories: the point and the cutaway. 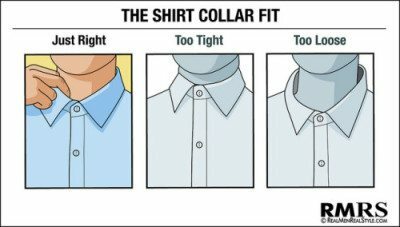 The point collar is the most common collar style, where the collar is cut so that the “points” are reasonably close together, sometimes to the extent that they almost hide the top portion of a tie. Longer, more closely set points tend to draw the eye down towards the tie and away from the face, while a more moderate cut frames the tie and completes the arrow effect pointing at the face. 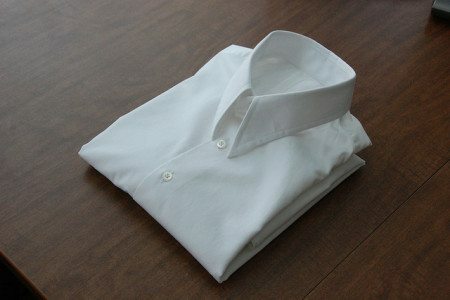 The second popular style is the cutaway, or spread collar. These collars have the points “cut away” or spread – thus the name – revealing more of the upper shirt area and leaving additional room for larger knots such as the Windsor. Like the point, spread collars come in a variety of widths, with more moderate ones resembling slightly flared point collars, while more extreme versions can be nearly horizontal. 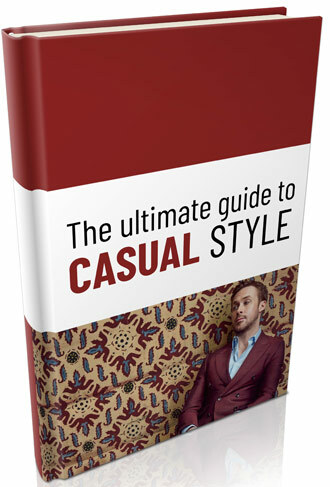 The particular dimensions are best left to the wearer’s preference and body type, with very wide spreads tending to accentuate wider figures while creating a more fully proportioned look on thin gentlemen. The button-down collar style is most often seen on more casual shirts. These collars have small buttonholes at the very tip of each point, corresponding to a small button on each side of the shirtfront. While this collar can be worn successfully with a tie, it is the least formal of all the collar choices and is an excellent choice for the man looking to leave the tie behind. The buttons on the collar, however, are always fastened; to appear with undone collar buttons would be a faux pas. 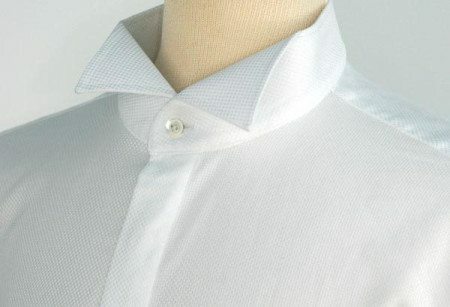 It is also worth mentioning two lesser known collars, which although neglected by many ready made shirt manufactures, are none the less still popular with dandies in the know. The first is the Pin collar: this collar has small holes in each point, allowing the insertion of a decorative pin or bar behind the tie knot, which thrusts the tie knot forward and up while adding extra decoration to the collar itself. The second, the Tab collar, employs a small tab extending from the middle of each point, which is fixed together – usually with a hook-and-loop closure – behind the tie. Like the pin collar, this forces the tie forward and up, creating the “standing” look of more elaborate knots. Neither the pin or tab collar should be worn without a tie; the empty holes and flapping tabs present an untidy appearance. Familiar to most as the collar frequently worn with the tuxedo – consists of a short shirt collar with no turndown, and two small “wings” at the front which are tucked behind the bow-tie. These collars are reserved for formalwear, and the gentleman need not give them particular consideration unless morning or evening dress is required. The choice of dress shirt collar style is a matter of personal preference that a gentleman must determine for himself. There are guidelines, but the rules are not so rigid that one can’t experiment to see what looks best. When having shirts custom made, remember that all of these collars can be cut at angles and lengths that best frame your features. Once you have accomplished this, you can walk with the confidence accorded to the well dressed man.